Patients today are facing higher deductibles and other out of pocket costs associated with unexpected medical bills. In many cases, private insurance companies are covering less as their client base is choosing more financially digestible plans with lower monthly premiums. Unfortunately, the money saved on monthly premiums is quickly snatched away for other uses rather than putting it aside as an emergency fund for an unplanned medical event. The situation is causing stifling patient debt which in turn places more stress on the very healthcare providers we depend on to provide cutting-edge technology and the very best medical staff to keep our families safe and healthy. Although there are financial incentives to help offset the costs associated to the treatment of your uninsured population (tax deductions, grants, etc.) it remains of the highest importance to ensure you are financially triaging each and every patient to ensure they are being placed in the correct financial bucket. (Note: it may not necessarily always be the bucket with the highest potential reimbursement, but ultimately the correct bucket for you and the patient based on the reality of their financial situation). Depending on your triaging methods such as propensity to pay, employment verification or income verification you can better determine whether or not a patient is truly capable of maintaining a payment plan or whether charity assistance would be a better option. That said, it is important to remember that most of these tools associated with propensity to pay software are based on historical financial performance to help establish a likely future outcome. Depending on the severity of the illness or injury related to the visit, the patient may no longer be able to work, and the true propensity to pay or credit score you are relying on may no longer be relevant. By having that one on one conversation, you can be sure you are properly channeling each patient into the most appropriate outcome while holding those financially accountable when it is appropriate to do so. Additionally, by looking at all financial factors, coupled with direct input from the patient, you can be sure you are doing your part to maintain a positive community perception while providing the community benefit outlined in your mission. In many cases, a patient simply does not have the cash available to hand over to the provider in order to pay off their medical debt. Even with a prompt pay discount, there are times where many patients cannot come up with the amount owed even if the discount would be a tremendous saving to them in the long run. This is commonly the case for those who may have had good, steady income prior to the medical event, but are now unable or unwilling to tap into cash reserves because of their inability to return to work. Understandably, those patients will choose to pay for necessities such as food and rent before covering a “non-essential” bill. For those lucky enough to have cash reserves or the ability to return to work quickly, the hospital or its trusted vendor will work out a payment plan and then send monthly statements until the balance is paid in full. Unfortunately, high balances often extend out payment plans that may span several months or even years before the payoff is complete. Although flexible payment plans provide you with a steady stream of cash flow as the program matures, any delay in getting the bill paid in full leaves you susceptible to default should the patient incur other financial hardships during the payoff period. Want to Know More About Our Patient Payment Plan Solutions? As is true in most cases, the squeaky wheel gets the grease. So, as your payment plan statements are going out the patient may be actively engaged with yet another collector that they feel obligated to pay. Eventually, the money runs dry, and you are left with only a partial amount paid towards the outstanding balance. You hope the partnering you did on the front end and the great customer experience the patient received will play a defining role in who they decide to pay, but at the end of the day, there is only so much money to go around. Once a patient starts to fall behind on their payments, they will have a difficult time getting caught up and may simply stop paying on the balance altogether. It is at this time that an opportunity may exist to review the situation to determine if it would be appropriate to extend charity assistance on the remaining balance or provide a prompt pay discount as an incentive to get the most out of what is left before the well dries up. Navigating the ever-changing healthcare laws and regulations is difficult. The requirements are ever-changing. However, at The Midland Group we are well-versed in the latest regulations concerning charity assistance and patient payment plans. 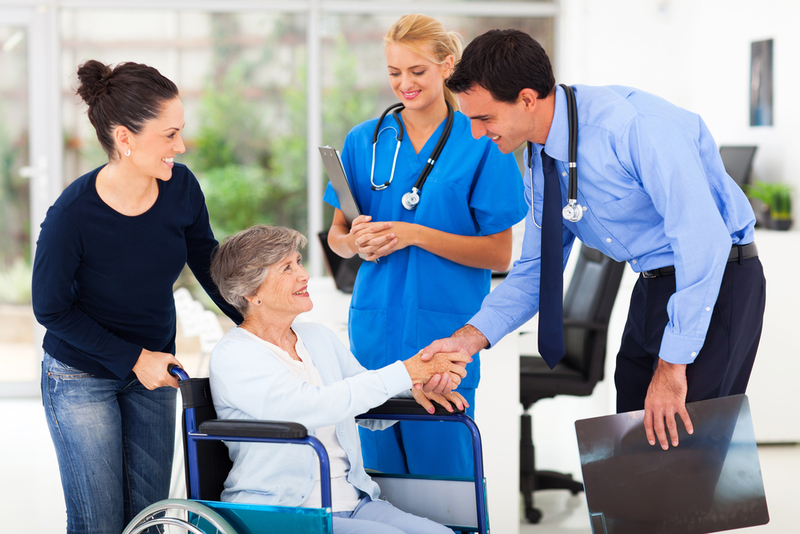 We can help any hospital attain valuable revenue by pursuing all available collection avenues such as payment plans, payments in full, early out collections, public benefit advocacy, and charity assistance. Contact The Midland Group today to find out how we can help your hospital avoid revenue loss due to unpaid patient dues.